FTC disclaimer: I am a member of the U.S. Cellular Blogging Brigade. This is a sponsored post, but all opinions are my own. I only recommend products I believe in. 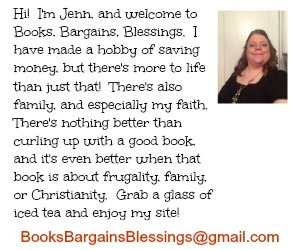 I have always been frugal. As that evolved into the digital age, I found myself having so many online accounts I couldn't keep track of them all, let alone the passwords. I am a member of so many different points rewards programs and frequent flyer programs that I don't even know what all I have signed up for until I go to sign up again and it tells me I have an account. One of my biggest headaches online was when my e-mail got hacked. I thought I was safe using a foreign word as my password, but obviously there are people all over the world who use the Internet. Use a Different Password for every Account! After that and having to spend nearly two days changing my password on various sites, I knew it was time to get into some better password habits. One of the things I changed was how I use passwords. I started using different passwords for different types of accounts. (Although this is not as secure as using a different password for every account.) I would use one password for general accounts, one for social media, one for banking. That way if one gets hacked I'm not scrambling to protect every account, but just the accounts of that type. I also started creating more secure passwords. You would be amazed at how many people use their pet's name, the word "password" or something like "qwerty" that is easy to figure out. One of my tricks is to pick a phrase. For an Example Mary Had A Little Lamb, It's Fleece Was White As Snow. I would turn this into the first letter of each word MHALLIFWWAS. Then I would see what numbers or special characters I could substitute, and use both upper and lowercase letters. A could be @ Ls and Is could be ! or 1 So I could turn that into Mh@! !1FwW@s and it would only make sense to me. I also decide on a time of year to change my passwords. That way I can be assured that I change my passwords at a minimum of one year. (This could be done during a birthday or anniversary week to make it easier to remember.) Although, it's recommended you do it more often, I am realistic about it, and know I don't do it as often as I should! Use an App to Help Remember your Passwords! I also use an app to help me remember my passwords. The app I have used longest is Roboform. For $10 a year you can have access to your passwords on every device. It also has a random password generator within the app so if you are signing up for a new account and want to find something secure all it takes is a couple clicks and you're set. I like this one because it also has a form filler and between the two I rarely type anything into forms online these days. It can also save your frequent flyer numbers, hotel rewards membership numbers, and more just by filling out the 'create custom field' section. I used Last Pass for a while, but after my year's membership was up, I went back to Roboform. You even password these programs to add another layer of security on to them, and they work on all devices such as my laptop AND my U.S. Cellular iPhone. Add a security Code on your phone and tablet! Also, it's worth it to put a security code on your phone. That used to seem unneeded to me, until a "friend" of mine picked up my phone and started going through it while I was driving. Needless to say once we stopped at our destination, I added a security code quickly! Now just imagine if your phone got in the hands of someone who wasn't a friend. I know someone who keeps a photo of himself on the lock screen so if he loses his phone, it's identifiable as his. I also would like to encourage everyone to have passwords available to another in case of an emergency. I was in the hospital for nine days in 2012 and the first day in the hospital, I had to call a friend and try to relay a password for an account I needed help managing. My mother passed away and thankfully I knew all her passwords. I have written about this topic and I can't stress how important it was that I knew her passwords, especially since our finances were combined. I currently have a list of passwords in a secure place, and my husband knows where to find they are. As this is a sponsored post by U.S. Cellular, I am happy to announce a giveaway. This is open to ages 18 and older anywhere in the USA. The prize is a set of U.S. Cellular ear buds in a little case where you can rest your phone while you are listening to your music. (Phone not included). Enter in the form below and the winner has 48 hours to respond to the winning e-mail or another winner will be chosen. Those ear buds would be good to have.I like the ones like this because they don't fall out of the ears.I like the color too.I need a pair since the ones I have are messed up,and having these would be better. I know that using different passwords for different accounts is safe. I just have a difficult time remembering all of them. I have done the different passwords for different types of accounts. So I have different passwords used for each type of account. It isn't as safe but when I can not remember a lot of passwords. I would love to have a pair for my daughter. Safety is so important. This is a good reminder not to get lazy with my passwords. There are just so many of them out there that I get overwhelmed trying to remember them all. 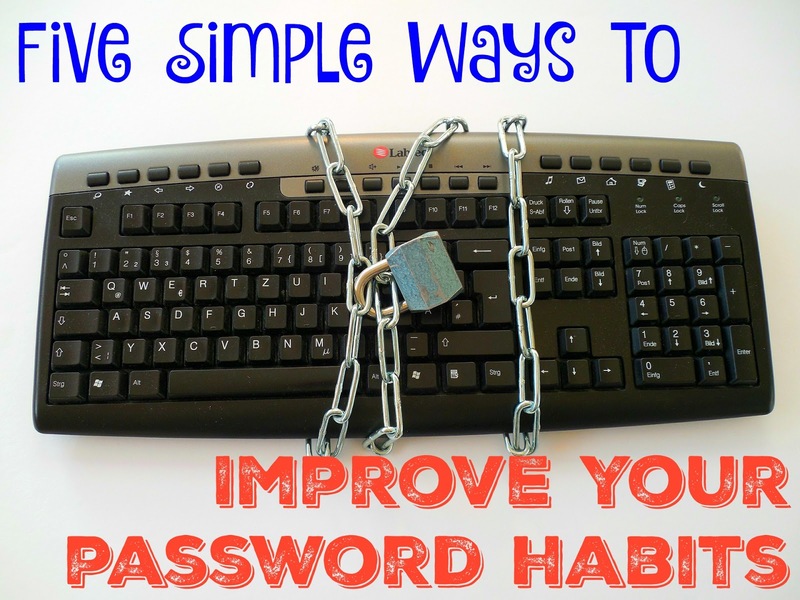 You have some great tips on creating and changing passwords. I think we are all lax about passwords and in this day and digital age we should not be! I try to mix things up between several different passwords using upper and lower case and numbers and shift icons . I have a list in my study where I use my computer for easy access. But not so easy to find for that possible break in thief !! Passwords are obviously much needed with all the hacker but oh boy they are a hassle. I do the same thing basically. Also have been using apps that help remember. 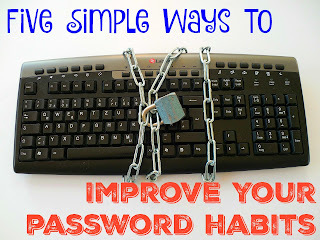 I change my passwords very often...very smart to do this! Would love to have these earbuds for my daughter! 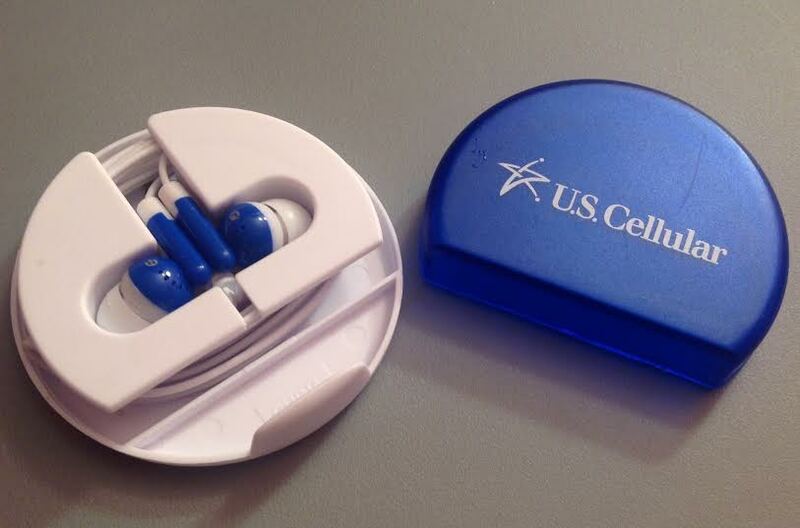 I really would love to win this beautiful set of U.S. Cellular ear buds for myself! Thank you for the info on passwords. And thank you for hosting the giveaway! Those ear buds look great and I love all this great information. Passwords are something we take for granted. Thanks for the reminder to take them serious. I love your pointers on improving our memory, I love your blog, and appreciate the ear buds giveaway! I would like to thank you for giving all of us this chance. Always make your password difficult! We go through ear buds a lot around here. Great tips too! That's such a great idea, to use a phrase as the basis for creating a password! Thank you SO much for sharing-- I hadn't thought of this before. I know a few phrases or even jokes in other languages, so that might be an interesting twist. I just got another idea, related to using phrases: How about using a favorite song lyric? E.g., "Sleigh bells ring; are you listening? In the lane, snow is glistening." ...Thanks again; very helpful! Thanks you for this giveaway of these U.S. Cellular Ear Buds. I like the way the case holds your phone. Love your tips. I need to change my pàsswords more often for sure. Thanks for the tips! Great ones! This is me - too many passwords! I love that there are apps out there that can be so helpful with something like this. And I love those earbuds! Having a place to set the phone is awesome!